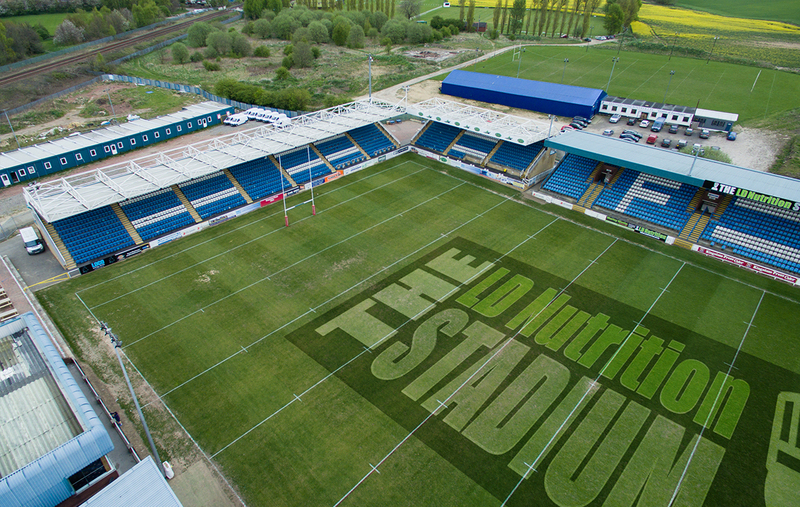 THE LD Nutrition Stadium is situated in the heart of Featherstone and is the official playing and training home of the Rovers. 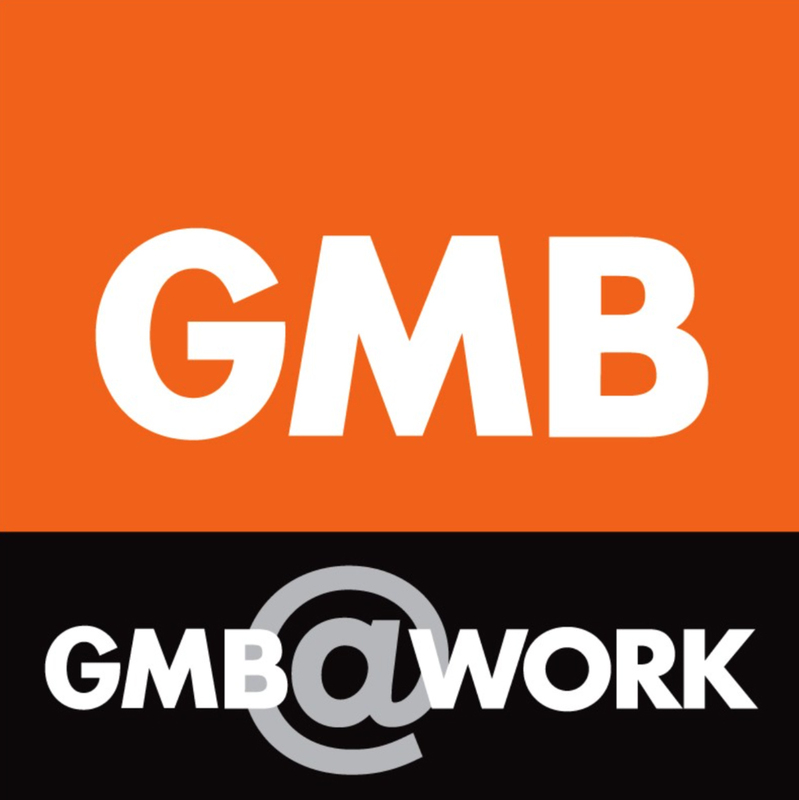 The club has plied its trade here since the day of its original formation. The history of Featherstone’s home ground, in many ways, depicts the history of the club itself. When local publican George Johnson first formed the club in 1902, it was with the generous help of the Railway Hotel landlord, Mr Umpleby, that a suitable ground was found. Umpleby owned some land beyond Featherstone Moor Farm, off Post Office Road, and a pitch was marked out. It was referred to as the Athletic Grounds, though it was initially little more than two farm fields joined together. The Rovers were soon, however, attracting some decent crowds, including 5,000 for a Challenge Cup match against Widnes. After disbanding in 1906, Featherstone Rovers reformed in 1908, playing once again on the Athletic grounds. After the 1911-12 season, the Rovers merged with the Featherstone NUFC team who were based at the Featherstone Hotel, and for the following year the club played at the Featherstone Main Colliery Athletic Club ground, which was adjacent to the cricket fields beyond the Railway End. The year after, they moved back to the Athletic Grounds at Post Office Road. After World War I, Featherstone set about establishing themselves as the best junior club in the country and aimed for promotion to the Northern Union. This involved getting the ground up to scratch and some ‘banking up’ was done to create sloped shale terracing around all four sides of the pitch. A temporary covered enclosure was erected where the main stand now is. When Rovers were granted senior status in 1921 more ‘banking up’ work was done and new dressing rooms and baths were installed. In 1925, the club applied to the Rugby Football League (RFL) for a loan to build a main stand. The RFL loaned the club £1,500 and the club itself raised £1,000 from various supporters’ groups, sponsors and collieries. The wooden construction with steel supports was built in 1926 at a time of great economic hardship for the area. Thousands of miners at all the local collieries were on strike in protest at conditions and pay. With nothing else to do, many sat on the pitch during the long summer and watched the stand’s construction. Fans were allowed into the stand for free on its opening day to test its capacity. That RFL loan was finally paid off in 1960. When Abe Bullock, of B&S Buses, became club president in 1937 he paid for the construction of a new covered enclosure on the opposite side of the pitch to the main stand. This was principally to be used by children. In the early 1950s this was demolished and replaced in 1953 by the famous Bullock Stand, renowned throughout the league for decades as the home to some of the most loyal and vociferous supporters in the whole league. The ground then remained largely unchanged for decades during which period all 17 of Rovers 10,000 home attendances were recorded. It was the Golden Age of the club. It was in March 1959 when an astonishing 17,531 people crammed into the ground to see Rovers knock St. Helens out of the Challenge Cup at the quarter final stage. Still the club’s record attendance, Featherstone can proudly claim to be one of the very few, perhaps only professional sports club to have an attendance record higher than the population of the town. In January, of 1962, a record league fixture attendance was set, 14,990 saw a game against Wakefield. The Rovers were one of the last top clubs to install floodlights. Bought from Hunslet, they were switched on for the first time in October 1983. They have been upgraded various times since then, most recently prior to the 2017 season. Then, just after the end of another crippling miners’ strike, the main stand was badly damaged by fire in March 1985 and had to be demolished. In its place came the new modern structure we have today, formally opened in August 1986. The clubhouse, gym and changing rooms were inaugurated the following year. When Richard Budge, of RJB Mining, became vice president, he paid for the construction of the Family Stand on the site of the old Bullock Stand. At that time, the ground adopted for the first time a sponsor’s name – and became known as the Lionheart Stadium. It was then briefly called the Chris Moyles Stadium, and the club’s home is now known as the LD Nutrition Stadium. In 2013, a group of fans and volunteers led by former chairman Paul Coventry began an ambitious project to dismantle, transport and reconstruct two stands from the defunct Scarborough Football Club ground to the Railway End of the stadium in a bid to replace the open terracing there. 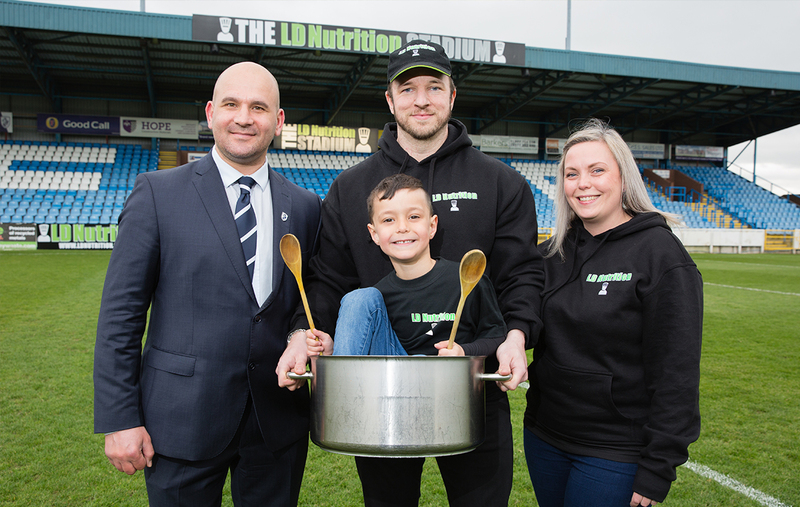 These wonderful additions, together with business units installed behind the commonly-known 70-Metre Stand, and a multi gym indoor training facility built behind the family stand, have continued the story of the LD Nutrition Stadium’s evolution. The outstanding work of the volunteers is part of a long tradition of the fans’ involvement with the upkeep and growth of the stadium, through the countless repairs, improvements and donations a variety of supporters’ groups have made throughout our history. Just one example is the Freddie Miller Gate, which was first built in 1961 and is now nicely incorporated into the club’s main entrance. What our ground has always had, and kept through this current period of renovation, is endless charm, a glorious history and a real sense of tradition.